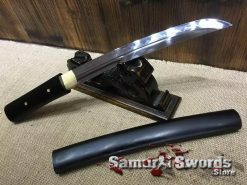 This is the Shirasaya Hand forged Tanto. 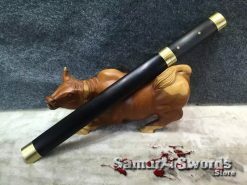 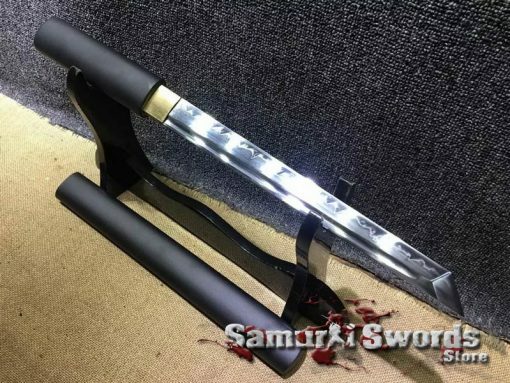 Handle and scabbard are made of matt black hardwood with a smooth finish. 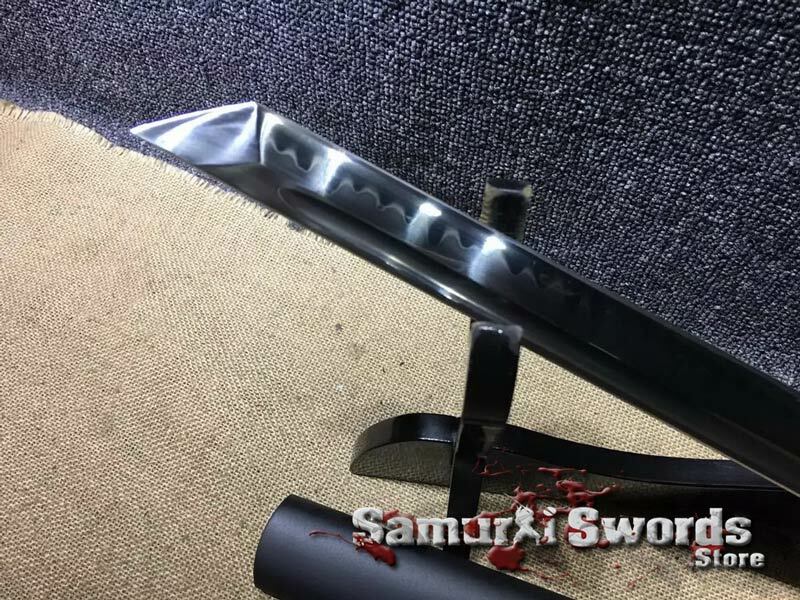 This blade features a clay tempered T10 blade, it exhibits one of the most appealing Hamon temper lines that is authentic and distinct as a result of traditional Clay Tempering Processes. 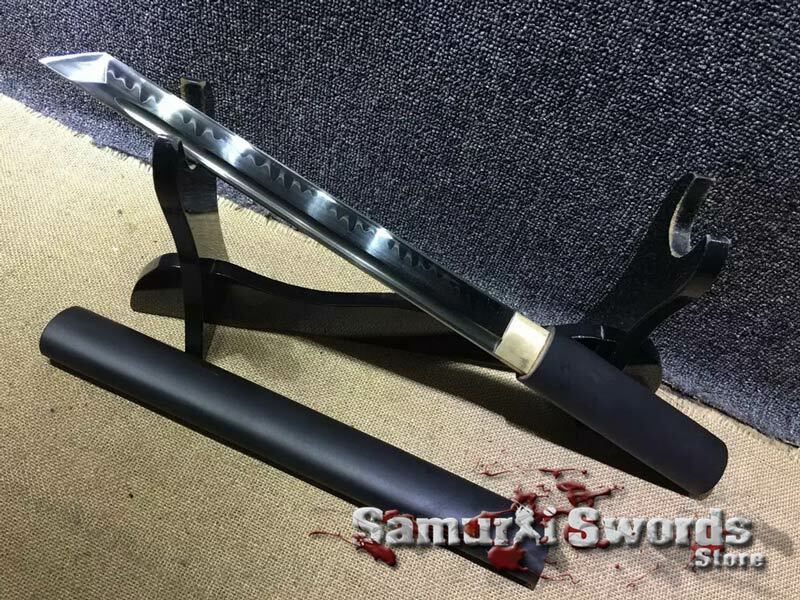 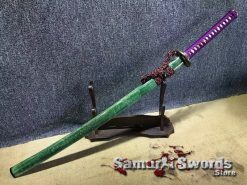 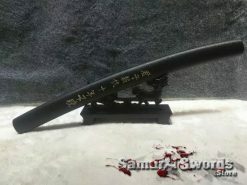 This blade is meant to be a modern version of a nihonto in shirasaya mounts. 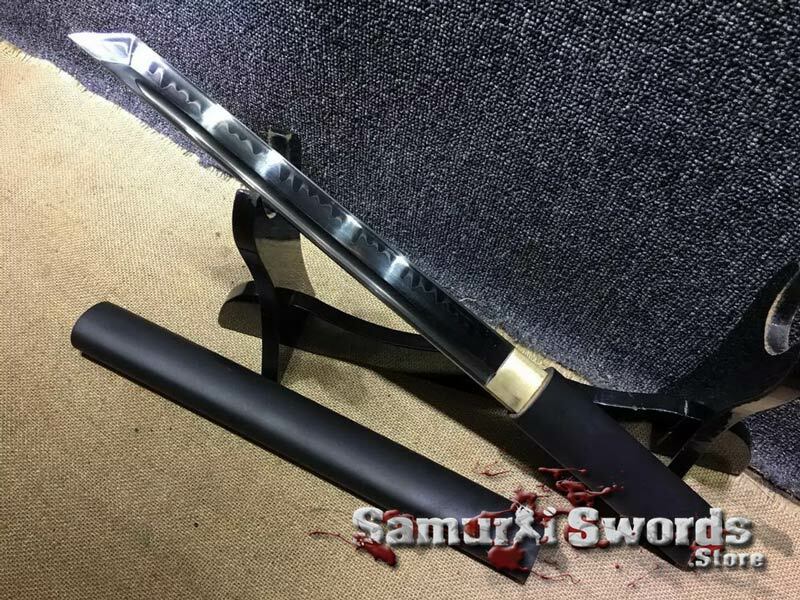 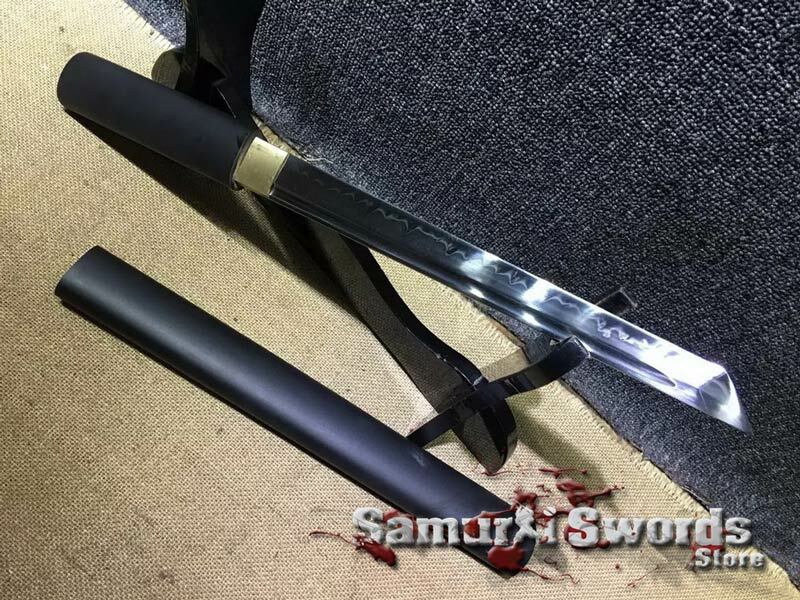 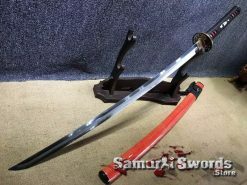 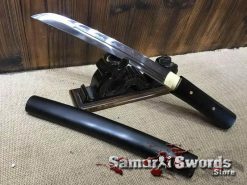 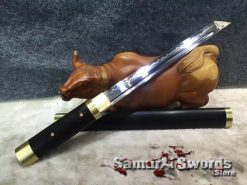 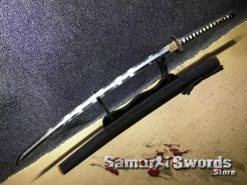 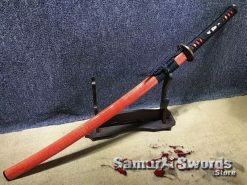 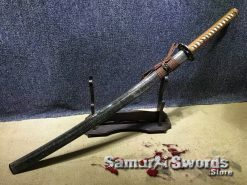 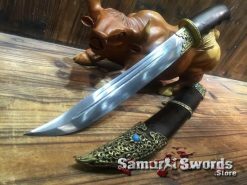 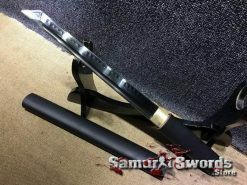 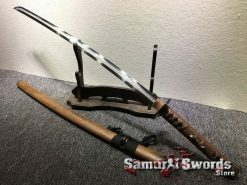 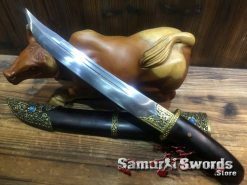 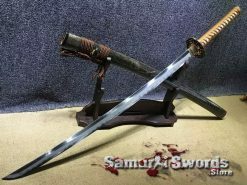 The Tanto blade is full tang and is fully sharpened while featuring blood groove from both sides, the habaki and seppa are made of brass. 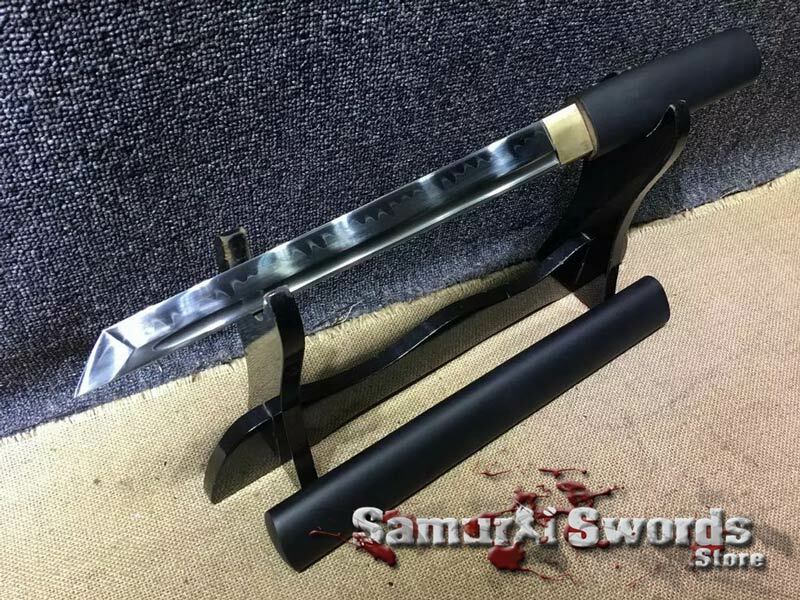 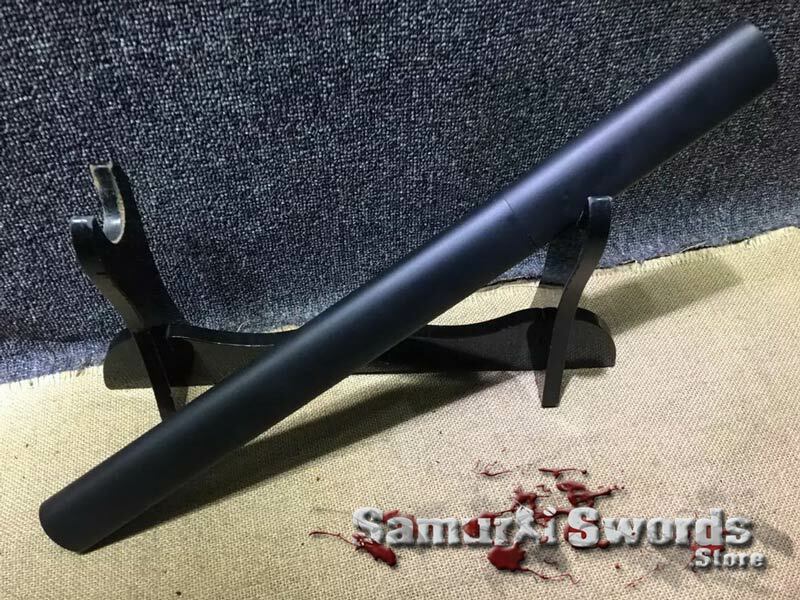 The saya is made from matt black hardwood. 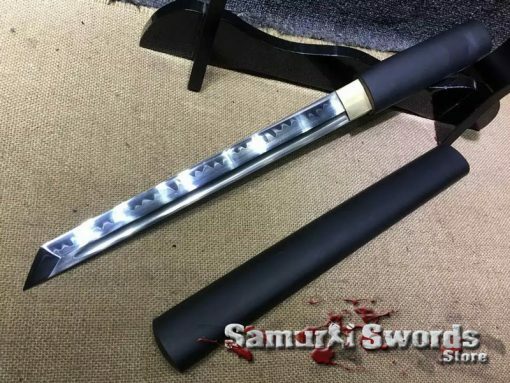 And offers a convenient drawing of the tanto. 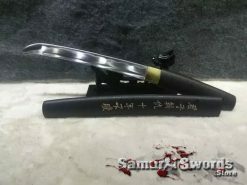 The Kissaki is Kiriha Zukuri with a well defined Yokote. 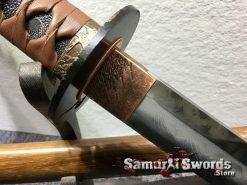 The sword is full tang and fully sharpened. 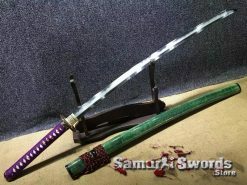 It is capable of cutting medium targets such as bamboo, water bottle, small tree branches. 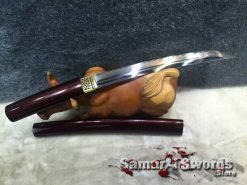 The handle is also made of high quality hardwood. 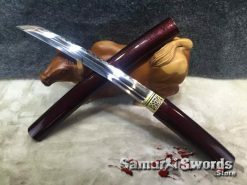 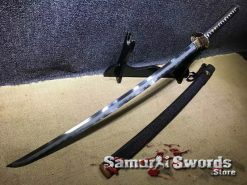 This Tanto knife comes with a free silk sword bag.